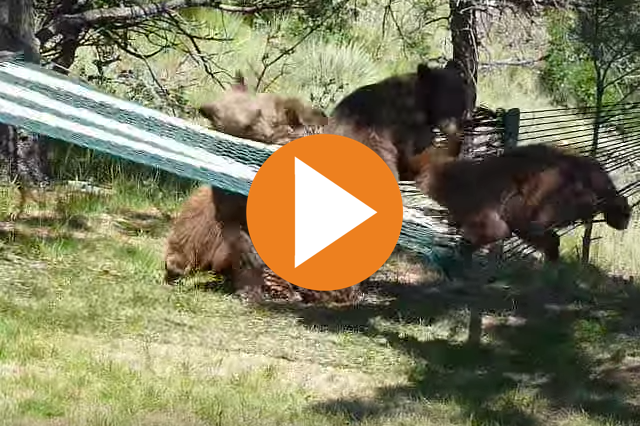 Really, what could be cuter than these three bear cubs wrestling on this hammock?? Well, as it turns out, it’s not a unique phenomenon. Bear cubs seem to just really love hammocks. 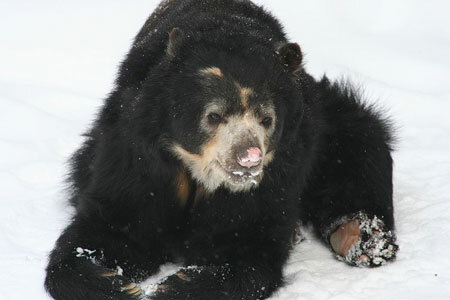 The spectacled bear is the only South American member of the bear family. Spectacled bears have black to dark brown fur with white-yellow markings around the face, hence the name “spectacled.” The species occupies habitats that include coastal and inland deserts, dry forest, rain forest, cloud forest, steppe, and paramo. 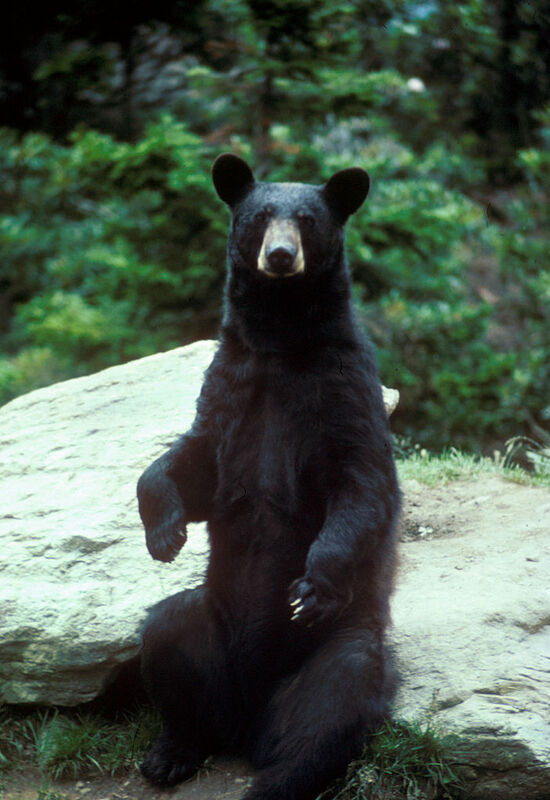 The American black bear (Ursus americanus) is a medium-sized bear native to North America. It is the continent’s smallest and most widely distributed bear species. The size of black bears varies wildly, with adult males typically weigh between 57–250 kg (126–551 lb), while females weigh 33% less at 41–170 kg (90–375 lb).